Important immune support for dogs with Demodectic mange with properties that assist all 4 Immune pillars. Get 4-Whey to Help Boost All 4 Pillars of Your Pet’s Immune Health! Allows your dog’s system to unleash the power of Glutathione, the Master Antioxidant! 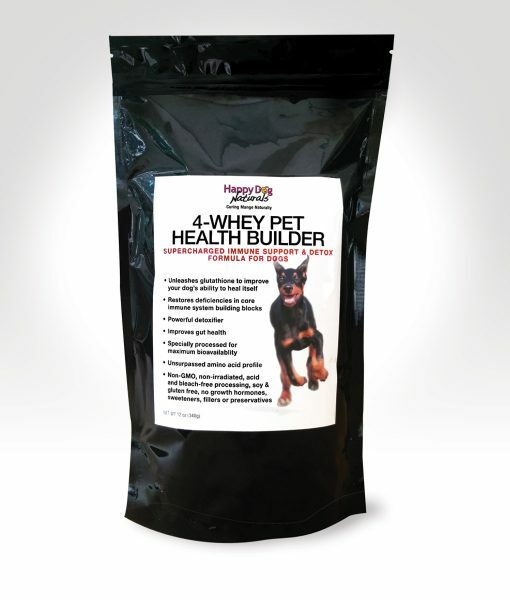 4-Whey Pet Health Builder is revolutionary, amazing, effective, easy to give and all natural. With only trace amounts of lactose, 4-Whey supports digestive health, yeast control, detoxification and overall immune improvement. Sprinkling it over your pet’s food is an easy way to supercharge your other immune building efforts. 4-Whey contains components that help slow the growth of yeast and repair tissue damage caused by the yeast overgrowth. As it combats ‘bad guy’ bacteria, it helps feed the ‘good guy’ bacteria you’re putting back with probiotics so they thrive. Environmental and mite toxins slow healing, suppress the immune system can ultimately create damage that opens the door to chronic disease. 4-Whey Pet Health Builder supports the function of your dog’s major detoxification pathways by neutralizing and eliminating biological & environmental toxins like chemicals, drug poisons, and heavy metals that dog’s bodies absorb into their tissue which impedes the function all physiological systems including those directly involved with the immune system. 4-Whey attracts toxins to bond with it then 4-Whey ferries them out of the body. 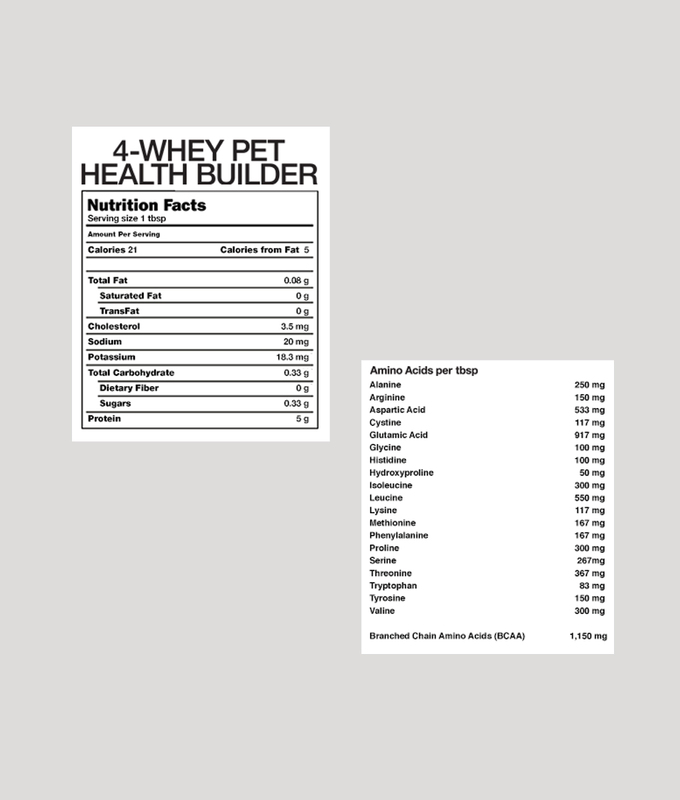 4-Whey Pet Health Builder boosts immune function and helps compromised immune systems with its full panel of amino acids, immunoglobulins and lactoferricin. 4-Whey’s full amino panel helps ensure proper function of white blood cells, (including T cell lymphocytes, the front line soldiers of the immune system) and helps protect immune cells from damaging oxidative stress. 4-Whey’s amino panel is important because it fills a critical gap in immune health. Amino acid deficits retard immune function and such deficiencies have become a common problem due to processed diets. 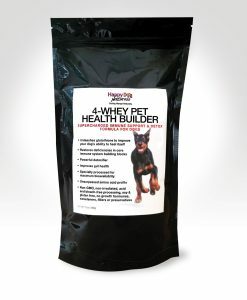 4-Whey offers a gaggle of wonderful health benefits but the very most important one is its aminos give your dog the missing ingredient it needs to produce glutathione. Read on to find out why glutathione is critically important to a healthy immune system. THE SUPER MAGIC BONUS — GLUTATHIONE! If you haven’t heard about Glutathione yet, well, it’s amazing. It’s food for the immune system. Every cell in the incredibly complex immune system is dependent in it. 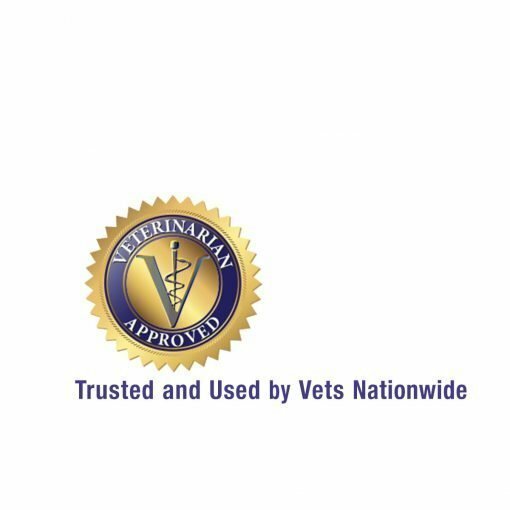 It is essential for life and critical for health and unfortunately, your dog can’t make it unless you supply the missing amino acid it needs. That’s because dogs do not produce one of the essential amino acids they need to make glutathione themselves. 4-Whey’s impressive amino panel supplies the missing ingredient in a highly bioavailable form. It’s whey better than Glutathione supplements because they rarely make it through the digestive process, making them basically useless. Glutathione is well known as the master antioxidant because it is the Superman of free radical killers. And because it does something no other substance can. Glutathione actually doubles the life of all other antioxidants that are critical to healing and rebuilding immune health. Antioxidant molecules typically have short life spans because they’re useless after they wipe out a free radical. But remarkably, glutathione restores spent antioxidants, giving them a second life! Essentially it has the potential to double the effectiveness of your other immune support products! A dog with Demodex needs extreme immune support. There is no single one-hit-wonder product powerful enough for the intensive supplementation required to beat mange, 4-Whey should be used in conjunction with other immune support products targeted to the 4 Pillars of Immune Health. It delivers important benefits unavailable elsewhere AND it ratchets up he effectiveness of your other immune support supplements exponentially. Many holistic practitioners believe that 4-Whey’s extensive benefits make it a lifetime supplement. WE DON’T PROCESS THE HEALTH OUT OF IT! 4-Whey Pet Health Builder is a specially processed undenatured whey protein concentrate with only trace amounts of lactose. You may be familiar with sugary flavored whey as a protein supplement for muscle building and strength but that type of whey is nutritionally dead. Most whey products are processed with acid, most of their benefits get destroyed with heat treatment and they’re based on milk that could have anything in it. Our highly specialized whey is only produced from spoiled year-round grass-fed cows in northern California. It’s 100% natural, non-GMO, and contains no corn, soy, gluten, growth hormones, sweeteners, fillers or preservatives. It is produced with cold process micro-filtration non-irradiated, acid and bleach-free processing. 4-Whey is as close to nature as possible meaning that its proteins are the richest source of purest, unadulterated, most bioavailable super-food possible. Pure un-denatured grass-fed whey protein concentrate. 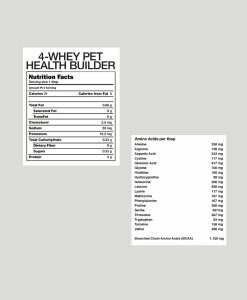 I will never stop giving my dog 4-Whey Pet Health Builder. It is one of the most important immune support products a dog could have as it gives him all the amino acids, helps him produce Glutathione and detoxifies. Nico came through demodectic mange with the help of this product and it is now keeping him healthy. THANK YOU HAPPY DOG NATURALS for this amazing product and philosophy. Reading the story of your journey ‘hit home’ with me because I’ve been there. To me it felt like ‘stepping off a cliff’ when I made that decision to look for an alternative treatment, and try something my vet didn’t recommend. It takes courage. It’s wonderful to hear your pup is doing better! I’m happy for both of you! Our Jack Russell has had Skin issues and Food Allergy issues since she was a puppy. For over 11 years we have controlled her diet and took her to the vet when her allergies symptoms flared up. The vet would invariably prescribe Prednisone / Antihistamine and medicated shampoos. The symptoms would abate and the cycle would start over again in a few months. 3 years ago her allergies became worse and was prescribe more of the same. Then, her immune system just broke down and she acquired a severe case of Demodex Mange. It was really bad and she was in misery to the point that we were afraid she would need to be put down. 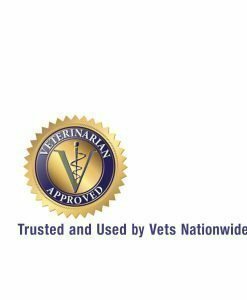 WELL – as we did research on Demodex Mange – and we came across Happy Dog Naturals. I followed their recommendations on how to attack this problem and lo and behold within a month the mange abated and she became MORE healthy than she ever was (despite her age!). Eventually all her mange ‘scars’ disappeared and in the next 6 months we noticed that her allergies had disappeared! Wow! We attribute this to the great FIX that this 4-Whey Pet Health did to her Gut and Immune system! This will be our our 3rd order over the years and it’s the best preventive / booster we have ever encountered! Very economical to boot! Our doggie is now 16+ years old and has not had any allergy symptoms since! We still keep her diet steady, but we have found some food items she used to react to does not bother her now! Wow! Anywho – this is our story – thanks for reading and hope those of you needing a solution to mange and allergies consider trying Happy Dog Naturals! I am really grateful to have found the information you are putting out there. It does amaze me that the veterinary industry is so far behind on this, as it seems it’s a common problem for dogs. I have a feeling this is also due to the vets actually making the problem worse or causing it in the first place. My holistic vet shed some light on the fact that vaccinations, steroids and neutering dogs too early all affect their immune systems – this then causing the overpopulation of mites / allergy problems, which they then go on to treat with more steroids, etc. Very common with dogs, also due to the pet food industry producing anything but food for these poor animals. A very sinister way of making money in these two industries in my opinion. Keep up the good work and thank you for all you are doing for our global animal community. We need more people like you in this world.